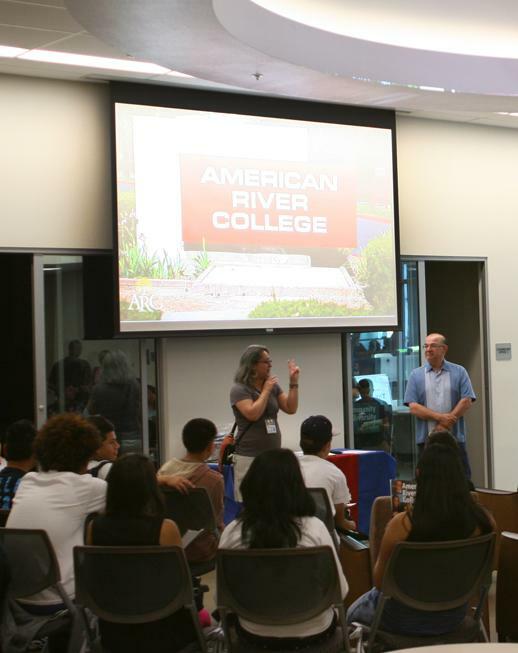 Kristina Casper-Denman (left), anthropology professor here at ARC, and Manuel Ruedas (right), ARC Counselor for PUENTE, speaking at the PUENTE outreach conference before Grant High School students on May 10, 2013, at The Hub in the Student Center. The event, among other things, included a raffle and a tour of ARC campus. Be the first to comment on "Photo of the day: 5-10-13"